Yesterday Matt and I rolled up our sleeves and set to work on the swath of mud that is our garden space. 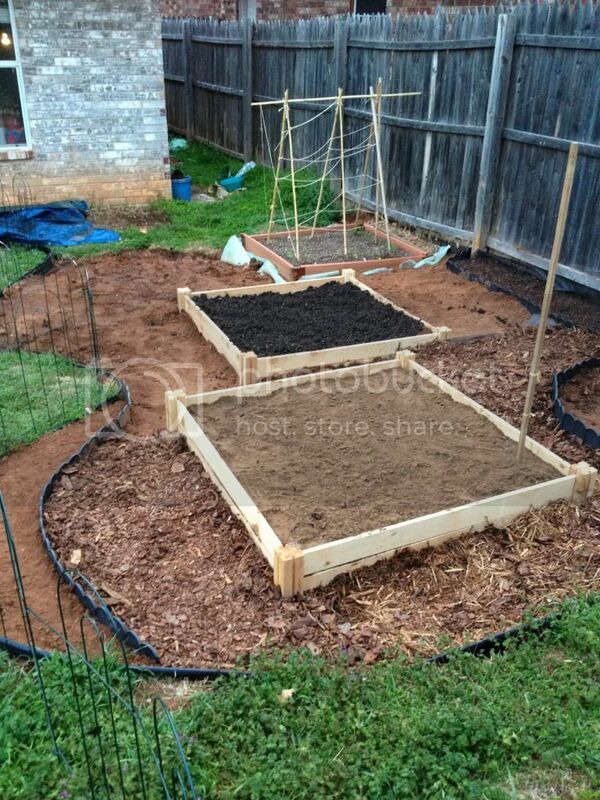 First order of business was to get those raised beds into the ground so I can get some plants and seeds in. I was going to use landscape timbers to have that rustic look, but after calling Lowe's and learning they don't cut that type of timber for you--and not wanting to hand saw 22 timbers--we decided to go with the pre-made cedar beds from Home Depot. Putting them together was a breeze, then came the task of making sure it was level. I assigned that to Matt while I marked out the edge of a sunflower border and area where we want an evergreen tree. After a lot of shifting, mallet-pounding, and more shifting around Matt declared he was finished. I turned to appraise it and saw it wasn't parallel with the fence...and if you're doing squares next to each other they need to be parallel. During this time, we decided to put Tatum in an old dress and let her go crazy with sidewalk chalk paint. Sadly, I don't have any pics of her painting the sidewalk, or her feet, or her legs, or her dress...we were all too muddy and messy to handle a camera! But I do have an "after" shot...it looks like Roy was a canvas for the paint as well. 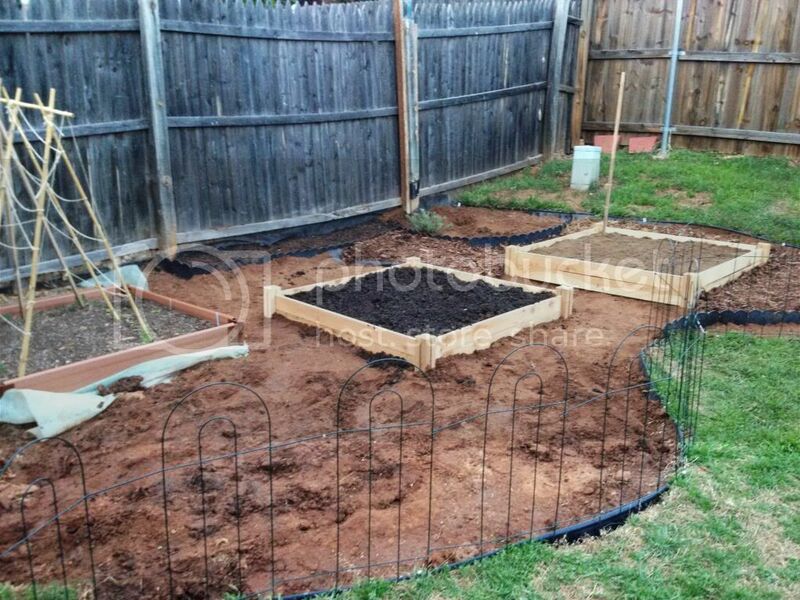 After a lot of shoveling, digging, smoothing, tamping, rinse and repeat, we finally had the bones of our garden up. Sunflower, coreopsis and nasturnium seeds are planted, and a nomadic rosemary has finally found a home. Since we are expecting some severe weather early this week, I'm waiting a few days to put my seedlings in as I don't want them pummeled by hail the day after I plant them. True, it just looks like a lot of different shades of brown at the moment. And Matt bought a different mulch than we already had so we're way behind on the mulching aspect. But in my mind it is lush and green and brimming with gardeny-goodness! Nice, I want a garden! !